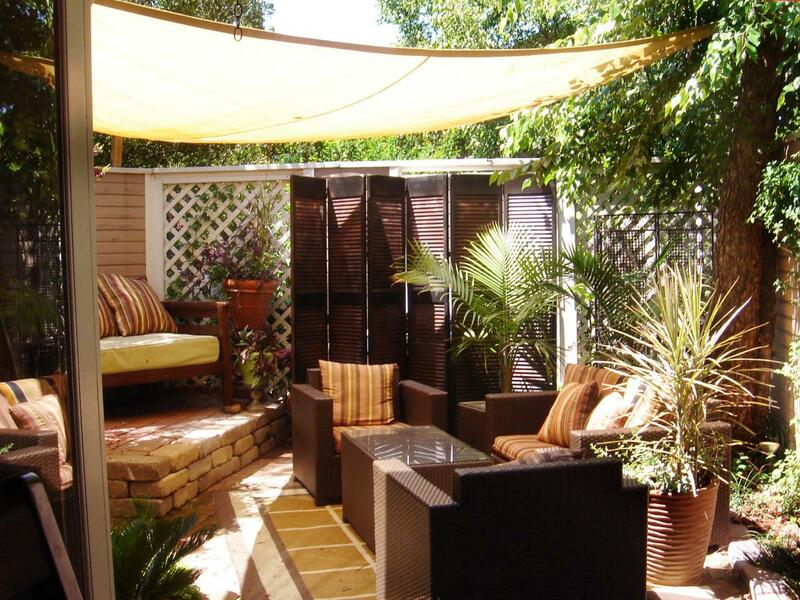 Home Sweet Home: What Do You Want For An Outdoor Room? If I have to redefine my outdoor room, I would choose it to be simple yet nice and of course, with enough privacy! 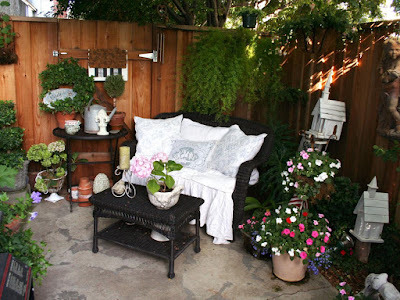 My current porch is not enclosed and quite close to the main gate so privacy has always been a problem to me. I want to have a serene space which is bright and airy where I could sit and read a book or write some posts from my blogs. Sad to say, I couldn't do this now because of my open porch. The photos above gave me an inspiration. Nice fabric curtains could be installed to cover the area as well as trellis or wooden panels or perhaps a removable divider. 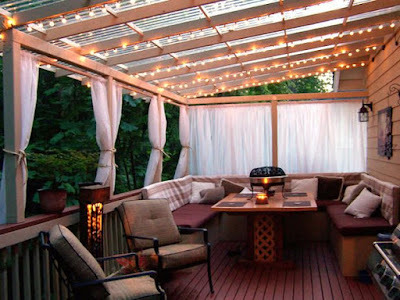 The addition of small lights on the ceiling (first photo) gave the outdoor space an added drama and I could imagine this to be very nice especially at night time. I get attracted to the design on the second photo because of it's simplicity and the presence of so many plants that come in a variety of sizes and colors, as well. The addition of the white trellis and a removable divider on the third photo made that outdoor space interesting although I am not in favor of the fabric shade as this is not applicable during rainy season and probably wouldn't even be enough to protect you from heat during summer. There is one common denominator though on the 3 designs, these are all built on a budget and that's quite impressive. Whatever design you wish to have for your outdoor room, the basic thing that we have to remember is that, this should fit our life style, made us feel comfortable and allow us to do our own chosen activity at home. What's your idea of a perfect outdoor room?